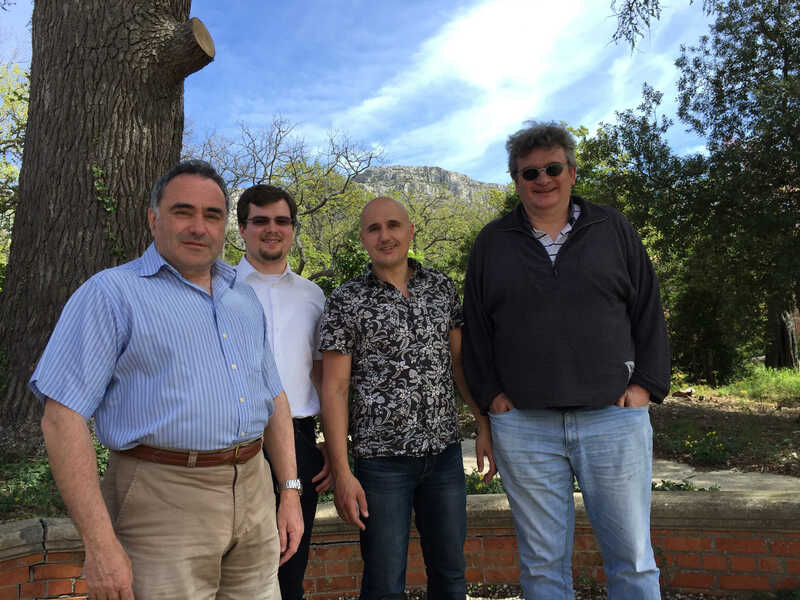 Once again we (Dirk Hundertmark, Tobias Ried, Semjon Wugalter) met at the international research centre CIRM (Centre International de Rencontres Mathematiques) just south of Marseille for a research in pairs programme. Two years ago at CIRM we started our new research direction in the study of regularity properties of complicated nonlinear evolution equations. The research centre is located in Luminy, just north of the Calanques, the famous cliffs in the southern French Provence. Spring time here is fantastic. We are staying for two weeks, working together with Professor Jean-Marie Barbaroux from the University of Toulon. In addition, we had a very interesting discussion today with Professor Anne Nouri from the University of Marseille. CIRM is a perfect retreat for doing research in a quiet environment without any distractions. For example, the room they reserved for our studies used to be a chapel. We are looking forward to the second week here. We are excited about our next research retreat in the autumn of this year at the Mathematisches Forschungsinstitut Oberwolfach. It will be interesting to compare the two experiences. But did you know that we can make way more out of this material, or more precisely out of the extracted layers of this material, called graphene? In the future it could be used for designing a new generation of smartphone displays, transistors, electrodes, biomicrorobotics and many more. In November 2015 we invited the physics group of Kurt Busch from Humboldt Universität zu Berlin to a „Discontinuous Galerkin SFB Workshop” at our institute. The aim of the workshop was to find a common starting point for the combination of theory and practice in the efficient simulation of problems arising from physics under realistic conditions. For this purpose the idea was to combine the expertise of Kurt Busch’s group in the parallel implementation of a specific class of methods for the spatial discretization of PDEs, so called discontinuous Galerkin (dG) methods, on large clusters with efficient time integration methods developed in our SFB. 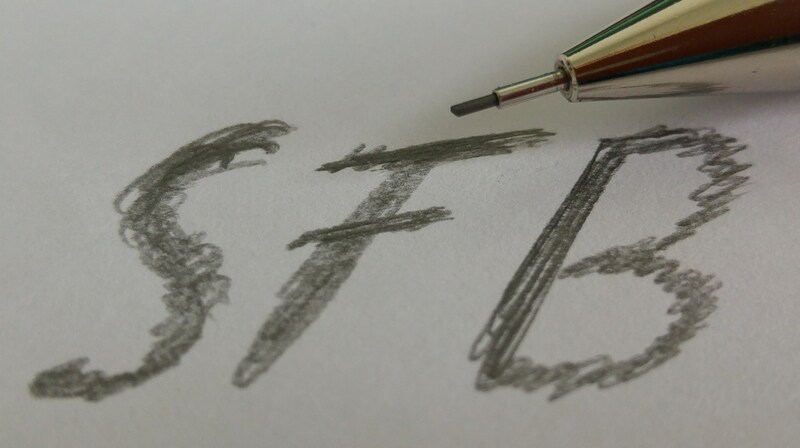 My specific field of research within the SFB is the efficient time integration of the Maxwell–Dirac (MD) system in a highly oscillatory regime. This system describes the interaction of e.g. an electron with its self-generated electromagnetic field. During this very interesting workshop Julia Werra, a PHD student of Kurt Busch’s group, told me that in particular the MD system is used to model electrons in the material graphene. Since Julia’s research is on the analysis of the physical properties of graphene and we wanted to learn more about the physical point of view of the MD system, we planned to discuss the connection of the physical with the mathematical aspects of this material together with her a little bit more. So I went for 4 days to Berlin in March 2016. This exchange of knowledge proved very valuable. Now Kurt Busch’s group and I think about how we can combine physics and mathematics in the efficient simulation of graphene. 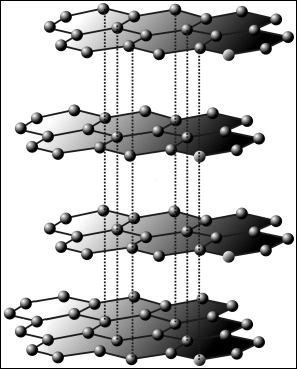 Graphene can be seen as an extracted layer of graphite. Click for source. Graphene is a 2D crystal of carbon atoms which are structured in a hexagonal honeycomb lattice. It can be seen as an extracted layer of graphite. Each carbon atom in graphene only has 3 partners, so by the missing fourth partner at each atom there are free electrons that make the material a good electrical conductor. Here its electronic band structure plays an important role. The band structure of a solid helps to understand its electrical, thermal and optical properties. The band structure of graphene shows a peculiarity, the so called Dirac cone, at the so called Dirac points, where two energy bands cross each other. On Youtube you can find a pretty nice and informative video on graphene, its band structure and Dirac cones. Physicists all over the world see graphene as the material of the future as it has very nice properties due to its atomic structure: It is transparent, impermeable for many molecules, much stronger than for example steel even though it is much lighter, and it has an exceptionally good electrical and thermal conductivity. Furthermore, it is one of the most frequent materials on earth. If you are interested in a related work on the so-called Maxwell-Klein-Gordon equation you can listen to the modellansatz podcast on numerical time integration which we recorded together with Gudrun Thäter in the context of the Cooking Math project of KIT together with the Hochschule für Gestaltung Karlsruhe.